This article contain list of projects for mechanical engineering students related to Steering System projects , automobile steering system projects . This list contain projects which are helpful for B.E. Mechanical , Diploma Mechanical Students For Final year Submission . If you looking For theory of machine and mechanism project for Engineering Diploma , B.E. / B.TECH mechanical field then you can refer Following List of titles. 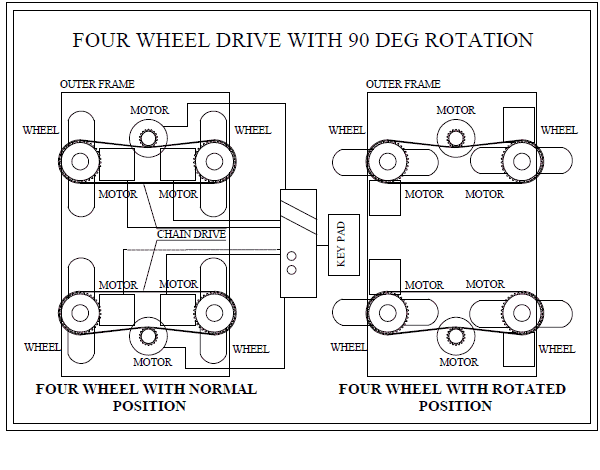 The function of a steering system is to convert the rotary movement of the steering wheel in driver’s hand into the angular turn of the front wheels on road. Additionally, the steering system should provide mechanical advantage over front wheel steering knuckles, offering driver an easy turning of front wheels with minimum effort in any desired direction. Three major parts make up a car’s steering mechanism. They are the RACK HOUSING (lower end, parallel to the axle), STEERING COLUMN (connected to your steering wheel) and a UNIVERSAL JOINT (connects the rack housing and the steering column). Mini Projects , Major Projects , Innovative Project topics with Abstract- Diagram and PDF Report related to steering system , useful for Mechanical College Students , Diploma Students and Final year Students.